The go-ahead was given today for the demolition of a prominent building in Elgin High Street and its replacement with a retail unit and a series of apartments. The existing façade of 184-188 High Street – a B listed building – will be taken down and rebuilt using reclaimed materials from the site. Terraced buildings to the rear will be knocked down and replaced with a three-storey block of apartments. The 15 apartments will be available for short-term rental and will be marketed for tourist or business visitors as well as being made available to accommodate NHS agency staff. A legal agreement will ensure that the apartments are retained in single ownership and that each apartment is not occupied by the same tenant for more than nine months to prevent them becoming permanent residential dwellings. 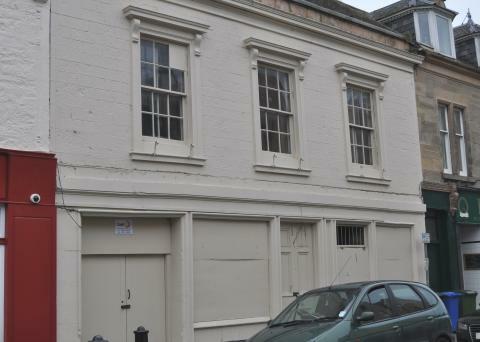 Members of Moray Council’s planning and regulatory services committee were told that the B listed building dated from the first half of the 19th century but had been vacant for around 10 years and was in a poor state of repair. Although Historic Environment Scotland had submitted an objection, it had supported the downtaking and rebuilding of the B listed street front building. The committee heard there were no other objections and that a letter of support for the proposal had been received from Elgin Community Council.